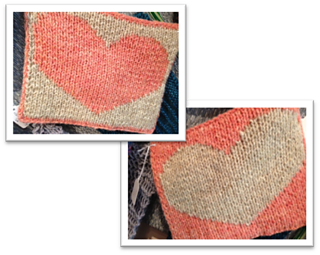 This trivet is a great introduction to double knitting! This technique results in a two-sided fabric, with reverse colorwork on opposite sides. Using Bartlettyarns woolen-spun yarns create a thick, insulating trivet. The pattern includes a chart and written discription of all techniques used in this design. 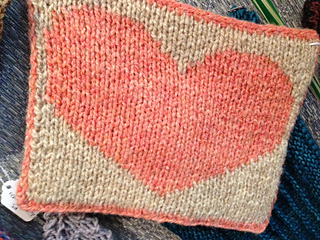 The sample was knit with Bartlettyarns in Peach Heather (main color) and Oatmeal (contrasting color).